Depending on where you call home, spring may be in full swing. If you live anywhere close to me, you're likely thinking you've skipped spring, summer, and fall and are back around to winter. Like the snow that is still around, I'm still dealing with winter dryness. The colder weather means richer formulas and a moisturize all the things attitude to combat i. Lise Watier knows the struggle and has offered up a new range of products to get your skin back in order. Read on for more info! 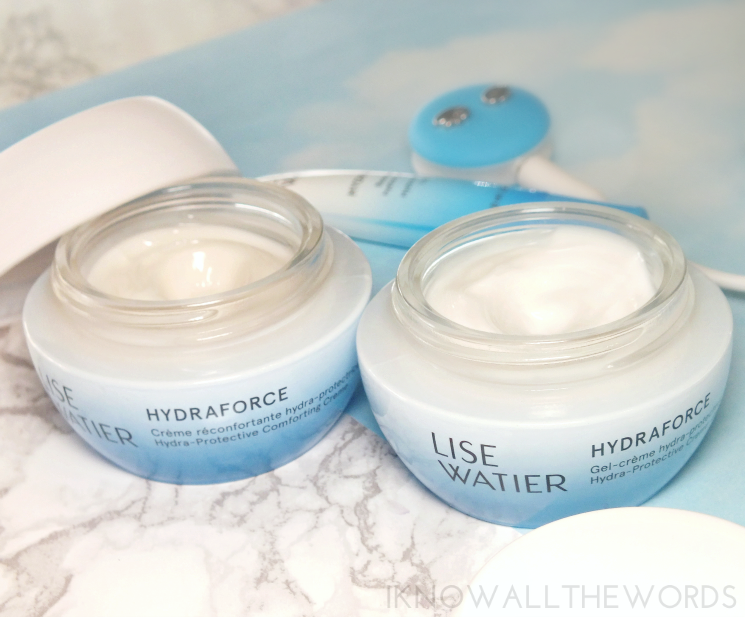 The stars of the range comes in the form of the HydraForce Hydra-Protective Comforting Creme (for normal to dry skin) and Creme-Gel (for normal to combination skin). Both formulas feature Gaspé Algae Extract that works to provide skin with global hydration and forms a defense shield. Both formulas offer a skin a hydration boost, but the Creme-Gel is a touch lighter feeling, with a gel-type texture (surprise, surprise) while the Comforting Creme is a true cream and a bit thicker. For moisturizers that provide a lot of hydration, they don't have thick, heavy formulas and absorb easily into skin. 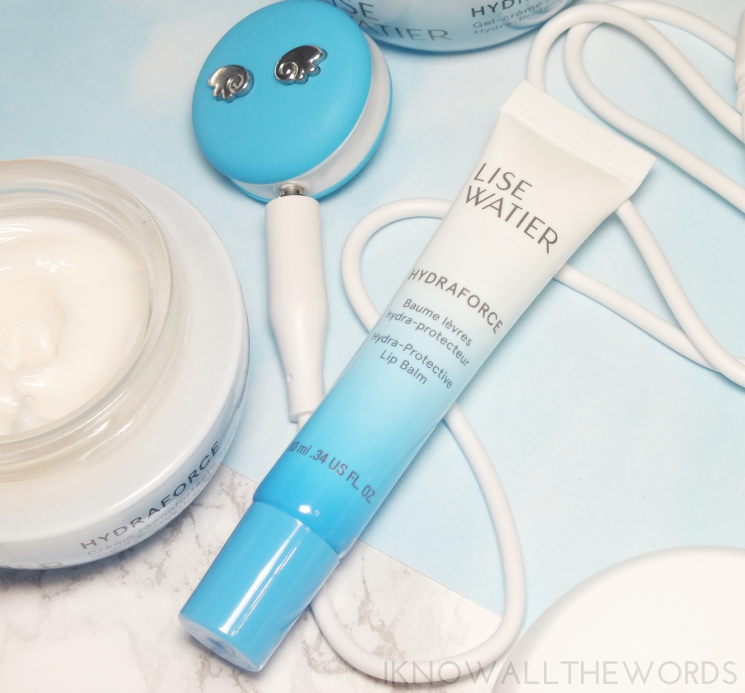 They leave skin feeling instantly hydrated and plumped, and lack any sort of reside or feel (you know the one.) They do have a scent however (water lotus to be exact), that might not suit all, I found it to be a bit intense the first time I used it, but it mellows quite quickly. I really don't notice it much now, to tell the truth. The range also features a BB cream and a lip balm. 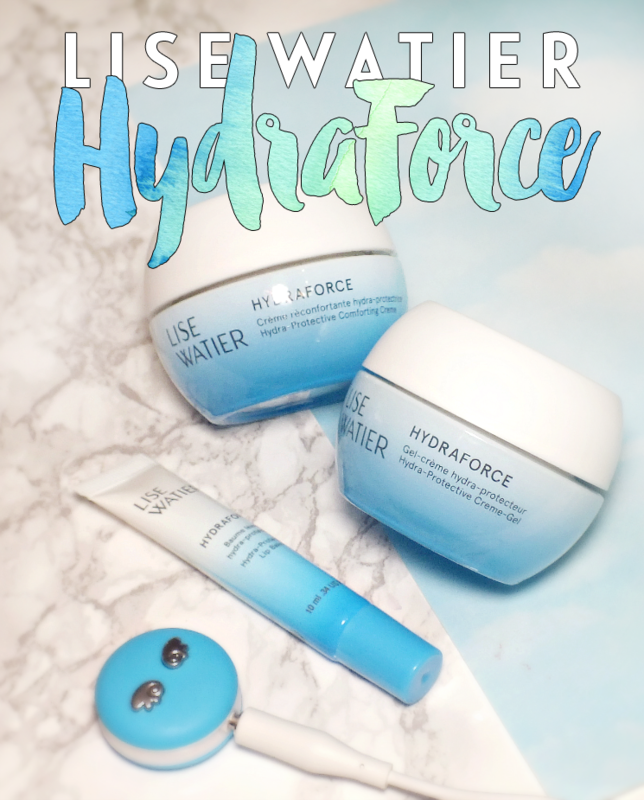 What more can I say about the HydraForce Hydra-Protective Lip Balm? I've already declared my love for the balm here, so I'll keep this brief... It's amazing! The formula is a bit thick, but feels cushion-y, and above all hydrates parched lips when nothing else seems to work. It's good. Overall, I've been really pleased with these products. The balm is a new must have for me, but the moisturizers are equally effective and leave skin feeling hydrated and oh-so-smooth. What do you think? Tried anything from the range? Want to?